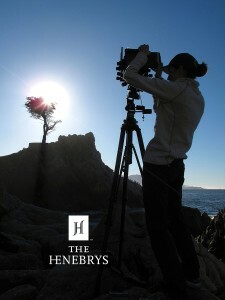 Bio — The Henebrys - Premier Golf Course Photographers, John Henebry and Jeannine Henebry. PREMIER GOLF PHOTOGRAPHERS, John and Jeannine Henebry have been specializing in golf course photography for over 25 years. A brother-sister team, they have traveled the world photographing some of the world’s best and most beautiful golf courses designed by many of golf’s most notable course architects and designers. Among John and Jeannine’s many national and international assignments, Robert Trent Jones II sent them to Aruba, Costa Rica, Germany, Japan, Mexico, Philippines, Portugal, and Thailand. They have photographed Nicklaus designed courses in Canada, Ireland, India, and Mexico. Palmer Design assigned them to photograph courses in Borneo, China, India, and Ireland. The Henebry’s photographed for Tom Fazio all over the US on his beautiful courses for the Golf Course Designs books. They were the first to photograph the first 18-hole course built in Nepal on the hunting grounds of the King, The Gokarna Forest Golf Resort. John and Jeannine are meticulous about their work, often waiting hours or days for the perfect light and sun angle to showcase a golf hole’s most subtle characteristics. To get their best pictures, they usually begin photographing courses just after sunrise or just before sunset. While their technique and perseverance enables them to have technically beautiful photographs, their true talent lies in capturing the essence of golf design. Using high end Medium Format digital cameras at a 100 megapixels, gives them a truly distinctive quality to their images, because there’s no mistaking a Henebry photograph. The Henebry’s expertise in photographing golf courses is sought after by golf’s most illustrious course designers and publishers because of their ability to capture and highlight the beauty and subtleties of a golf course. For this reason, they have been both the featured and exclusive photographers in several books, publications and calendars. Books and publications featuring the Henebry’s photography include Golf Course Designs by Tom Fazio, Golf Magazine Top 100 You Can Play, Nicklaus By Design, Golf By Design by Robert Trent Jones II, A Walk in the Park, Golfweek’s Guide to Americas Best Classic and Modern Golf Courses. They are the exclusive photographers for two popular golf books, Selected Golf Courses: Photos and Essays, Volume 1 by Hurdzan/Fry, and the renowned Shadow Creek by Steve Wynn and Tom Fazio. 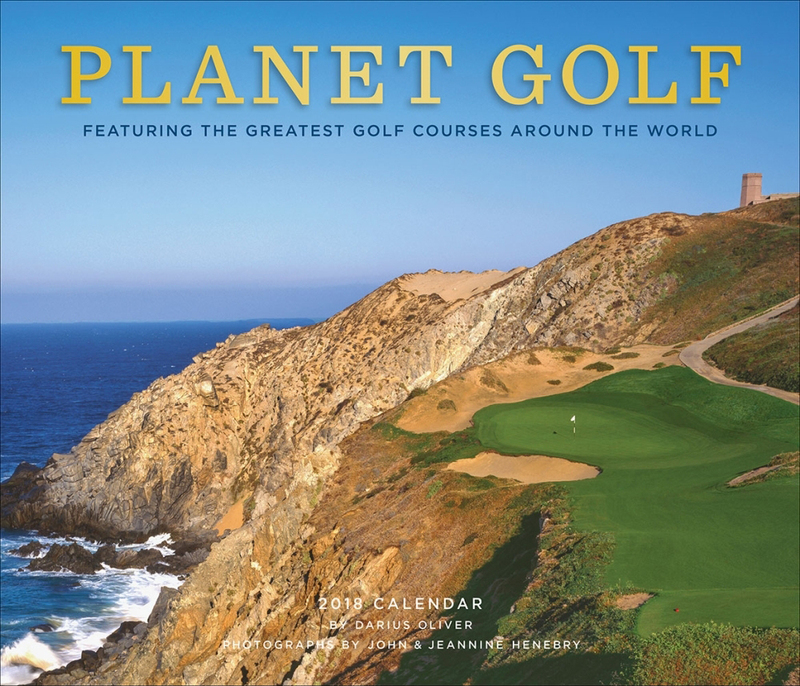 Also they were the principal photographers in Planet Golf USA, by Darius Oliver. John and Jeannine’s work frequently appears in major golf magazines such as Golf Digest, Golf Magazine, Links: The Best of Golf, along with many other consumer and trade publications. 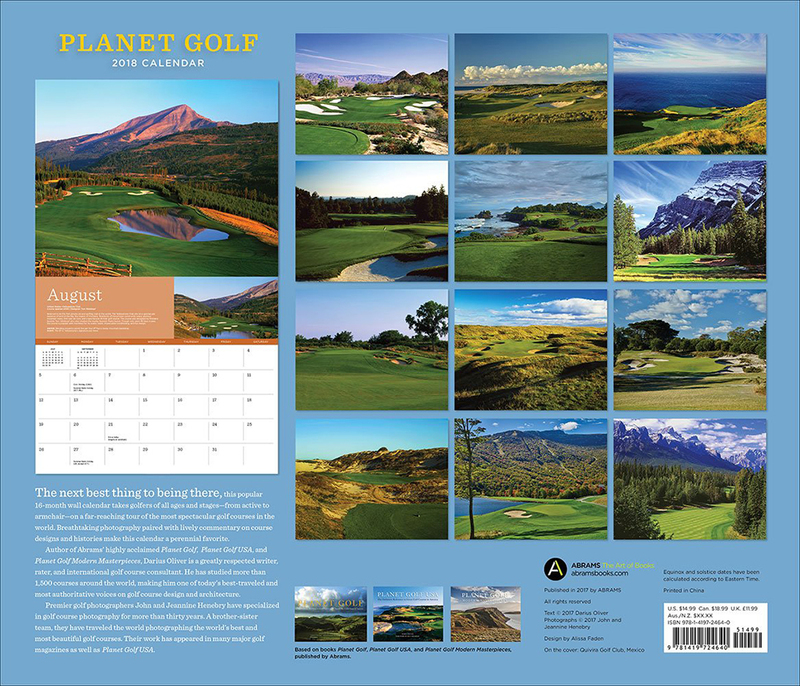 Eight calendar companies, both national and international, feature their golf course photography on their calendars, many of which are distributed worldwide.